Do you know what your data quality issues are? You know what you think is in your database. But before you make project time commitments, or establish budgets, you need to know. Not knowing about data quality issues might cause ETL development cost estimates to be off by 50% or more. The data model can tell you what is supposed to be there. We can tell you what is really there, through data profiling. Fast, affordable data profiling services. Data transformation, consolidation, mapping and migration. 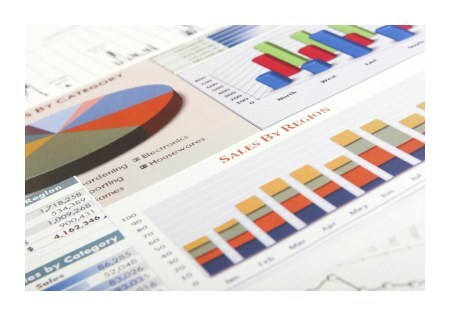 We're experts at data profiling, and can provide you a detailed, comprehensive report. Don't risk project cost overruns or failure because you are assuming things about your data. We have the tools and expertise to quickly deliver detailed reports that show you exactly what is in your data, and in many cases, how to fix it. Experienced. Nothing hones a data artist's skills like years of experience in multiple business areas. Equipped. Our main business is building a data profiling and transformation tool. We have tools far beyond the standard SQL query at our disposal. Fast, affordable and clear. We dive into the data, and give you clear, easy to understand reports and analysis fast. No techno-babble, and we give you a full presentation, walking through the results, making sure you understand what we've found, and what we suggest. Data Deliverable Focused. We are in the business of data. We clearly define what raw data is going in, and what our deliverables are to you. We'll all know what the goal is, and you will be updated on our progress every step of the way. Duplicate records, badly formed codes, incorrectly formatted phone numbers, addresses and product fields all cause issues throughout a business. But how can you clean the data if you don't know where the issues are? By using nModals data profiling services, we can clearly identify where data quality issues exist, and we can also provide data cleansing services to improve your data, and make your processes that rely on it flow more smoothly, and cost effectively. There might be huge advantages to moving to a new system, but if you abandon your historical data when you leave the old one (or migrate it poorly), you're basically throwing away a critical business advantage you've spent years building up. We can analyze your source and target data, and build the transformations you need to guard your valuable information and help ensure you get the return on investment you expected from the future state. To start your free, no commitment proof of concept, contact us at dataprofiling@nmodal.com to learn more, or call us at 1 (888) 840-1538. We'd love to discuss how we can help you. Or you can read our blog posts on the subject.